When I saw THIS amazing card by the one and only Amy Wanford I was blown away by it. Not only is Aimes an amazing card maker but she has such an eye for design and see's things in a different way than most people do. 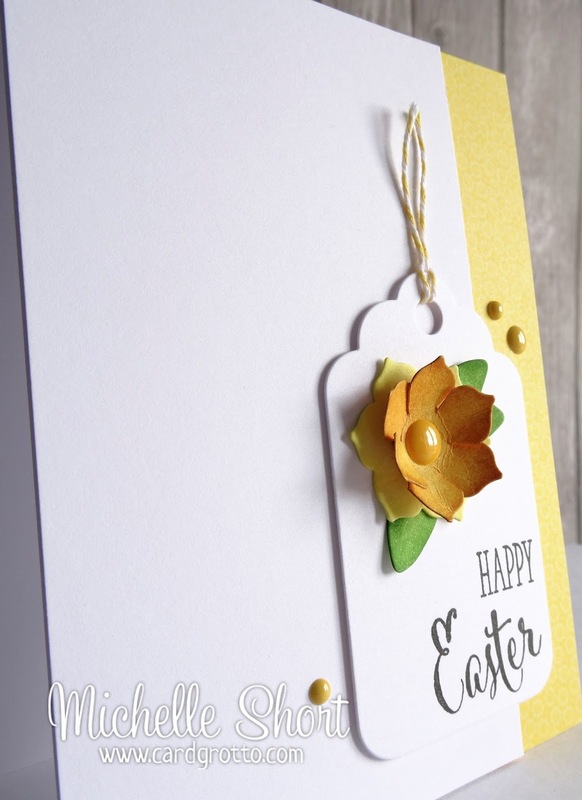 She used the CBS Pretty Plus dies to make a 3D daffodil and so I stole borrowed the idea and did the same on an Easter card for my nan. 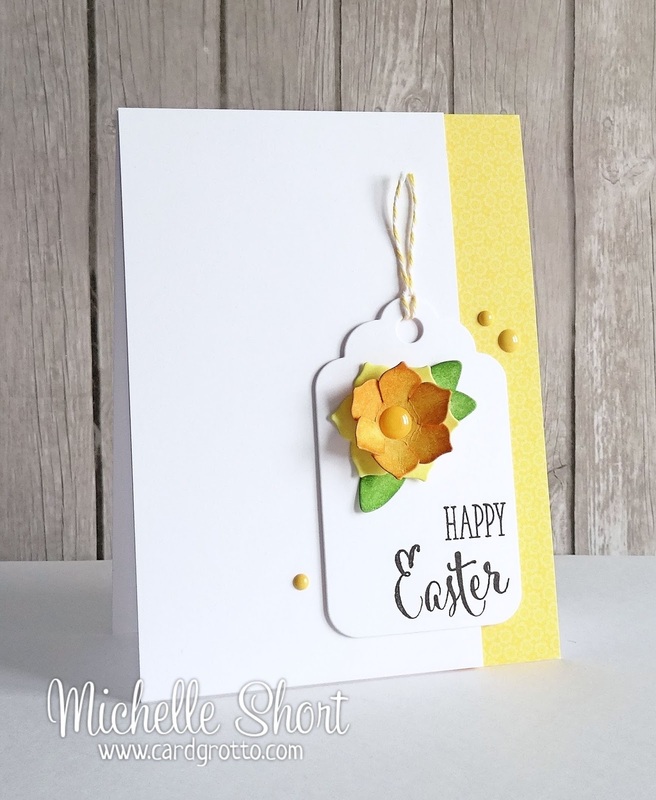 I added the daffodil to the CBS Scalloped Tag die and stamped the sentiment from the CBS Fresh Flowers set below it. Thanks you so much for visiting me today, I hope you all enjoy the rest of the Easter break. This is stunning Michelle, your flower is so beautiful I think I may have to 'borrow' the design too! Beautiful design Michelle! Love it. As always, your card is absolutely gorgeous, Michelle! I love your 3D daffodil on the tag and pretty yellow border along the side! CAS perfection! Thank you so much for stopping by my blog! Your sweet comments are so appreciated!